It’s been three years since I made a list of the best Martial Arts YouTube channel. 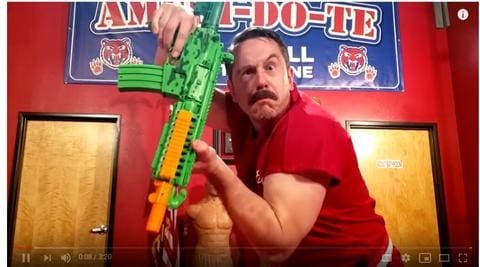 Techniques in presenting Martial Arts videos have changed since and there are new vloggers in the field worth following! As YouTube channel producers, it is our job to help those who want to increase their knowledge in Martial Arts by showing them how Martial Arts can change lives. Are you ready? First of all, I’ve chosen these particular channels because of their relevance and relatability to our audience. These producers don’t cater to Martial Arts enthusiasts solely but also to those who aspire to try the art as well. Please note that the channels that I will mention are not in any sort of order. Rokin’s channel is very personal. He has combined the art of vlogging with how Martial Arts has helped him in his journey; it’s very informative, especially on the side of Aikido because he learned the art at a young age and started his own dojo. However, he has switched from Aikido to MMA and his videos show the transition. It’s like a book on his journey and any Martial Arts enthusiast would relate to that. This channel is worth following especially for those who have zero knowledge of self-defense. Stephan Kesting has tried his hand (and excelled) in different martial art practices and aims to teach others how to best defend themselves. On his channel, he not only presents you with techniques that he knows, he also invites others that are expert in the field to teach his students other methods of self-defense as well. This channel remains one of my favorites! Master Ken has a real affinity for making comedic skits with various martial art styles. To Martial Arts enthusiasts: the sport needn’t always be serious, and Master Ken shows you how. It also has real-world applications (again, with a humorous flair), but you’ll learn to appreciate it nonetheless. 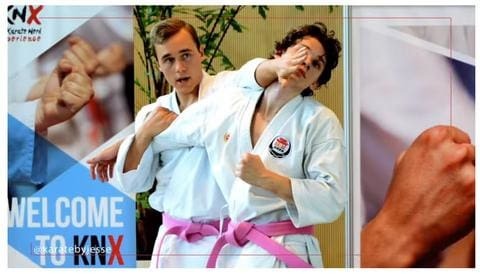 If you follow taekwondo tournaments closely, this channel is definitely for you! The channel was made to showcase the different tournaments that happen globally. It’s like the ESPN for Taekwondo—be in the know with Taekwondo competitions by subscribing to this channel. The hosts of Aikidoflow are based in London and they show Aikido can be applied in real-world situations. They also show different methods of Aikido that even a normal person can learn and practice. Time to hit subscribe on their channel if you want to learn more about Aikido, they have new videos up every Wednesday. Master Wong is known for his many how-to videos on different Martial Arts stances and techniques. He has over 2 million subscribers and according to the comments on his channel, he has helped many aspiring Martial Arts students. His videos are very detailed and informative to the point that some of his followers even choose to learn from his videos instead of training in a dojo. This channel has a different approach to Martial Arts videos. The video content of the channel is random at most, ranging from video clips of popular Martial Arts movies, commentaries, vlogs of the moderators’ Martial Arts journey and some comedic skits. If you’re looking for something a bit entertaining and unlike other Martial Arts channels that you’ve watched before, this channel is for you. Let’s not forget jiujitsu. bjjweekly has captured its audience with their channel that caters mostly to jiujitsu fans and aspirants. The show has recorded podcasts on commentaries about the sport and it also features techniques taught by well-known jiujitsu athletes. I admire this channel for his entrepreneurial capabilities and how he was able to inspire millennials to join and enjoy the sport. His story starts with his parents as his teachers and from then, his passion grew. He has traveled all over the world and the lessons he learned of Karate is shared thru his videos that are creatively curated to cater to the younger generation’s interest. If you’re a millennial interested in joining the Martial Arts community, Jesse’s channel will give you the motivation to go to your nearest dojo and sign up right away! It’s no surprise that I make it to the top ten of my own list (LOL). I created this channel to share with you my insights on Martial Arts and my love for the sport. Martial arts can teach you many life lessons (not just kicking and defending yourself) such as discipline, patience, hard work and persistence and I hope that through my channel, you will be inspired as much as I was inspired because of it. There you have it, friends! I hope that by watching from these various YouTube channels, you gain knowledge of the various types of Martial Arts. How one’s journey with the sport is never-ending and sometimes, mixing it up can be beneficial. A lot of the hosts from these channels are not just experts on one facet of Martial Arts—they have learned multiple disciplines and applied it to their videos so that they can share them with YOU. So, kudos to all these channels and may they continue to motivate many more followers in the future!